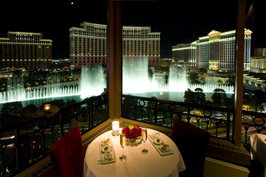 Fall in love under the shining lights of Sin City. 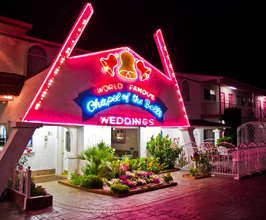 Visit Las Vegas and let the glitz and glam set the mood for romance. 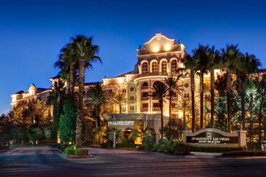 From visiting the fountains at the Belagio to taking your chances at one of the many casinos on the strip, there is always something to do in Vegas. 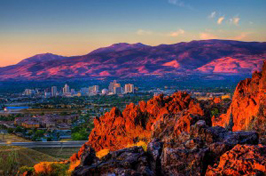 Get outside the town and fall in love with the breathtaking scenery all around the city. 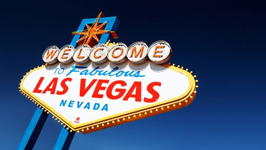 The Las Vegas strip is the place to be for casinos, shows and action in Las Vegas. 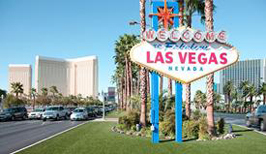 The strip offers many places to stay, gamble and catch a Las Vegas show. 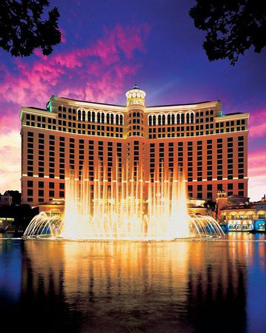 One of the sights to catch along the strip are the fountains of the Belagio hotel. 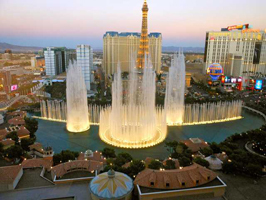 The fountains are beautiful and the perfect place to start a stroll down the strip with your sweetheart. 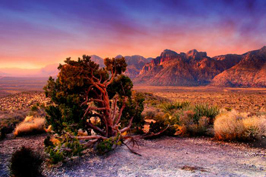 If you are in the mood for something more adventurous than a stroll, try seeing the strip on a zip line. 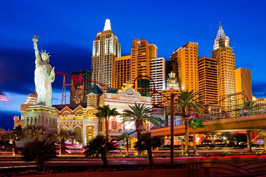 If zip lining on the strip is a great adventure for you and your loved one, try getting out of the city where you can Zipline over the Mojave Desert, skydive, rock climb or even raft down the Colorado River to see the Hoover Dam. 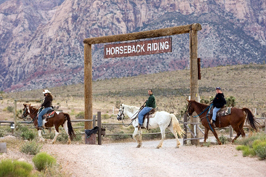 If these activities are a little too adventurous for you and your love, try hiking in the Canyon or taking a horse back ride. 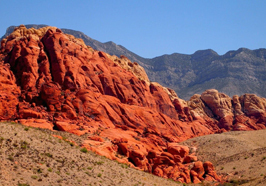 Better yet, take a drive to the top of Lake Mead Boulevard where you can see the entire Vegas Valley. It would be the perfect place for a moonlit picnic. 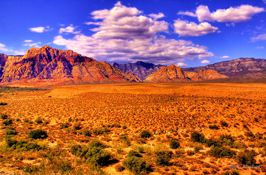 There are many things to do to see Las Vegas but some of the more entertaining ways are to take tours of the Canyon. 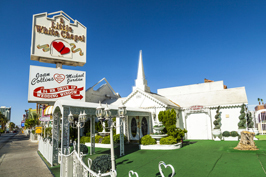 A romantic trip over the strip in a helicopter might also be an adventure to remember. 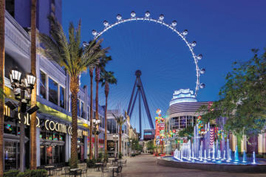 Another romantic way to see the strip is to take a ferris wheel ride on The High Roller. 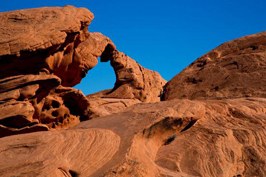 Get to the top and see the strip unfold below you. 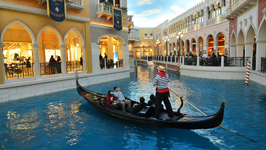 There are also bus tours of the area or you can take a hot air balloon ride to see the city from up high. 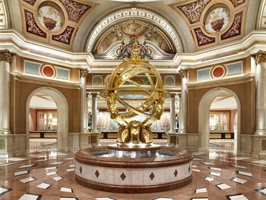 There are always a lot of shows to see at the various casinos and hotels in Las Vegas, but many people don’t know of the museums to see. 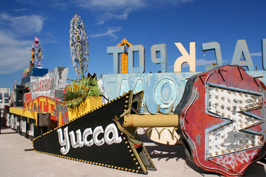 There is the Neon Museum in Las Vegas, where you can see the Neon Boneyard, an exhibition of past neon signs from the Vegas Strip, a beautiful botanical garden is just waiting to be strolled through at the Bellagio, The Las Vegas Art Museum, , and just a short drive away there is the Hoover Dam and the Hoover Dam museum.